I love spending time with Alex and Dan. They are such a kind hearted, funny couple. I met them last year when I photographed Shannon and Brian’s wedding. Alex and Dan came to me after that wedding and paid me the biggest compliment by saying they could not imagine anyone else photographing their wedding. Even before her wedding, Alex referred several of her friends to me ! Alex and Dan had a gorgeous July day for their wedding (which was actually one year to the day from Shannon and Brian’s.) I started with the ladies at a rented lake house on Canandaigua Lake while they got ready. My good friend Gerry worked with the guys back in Geneva. 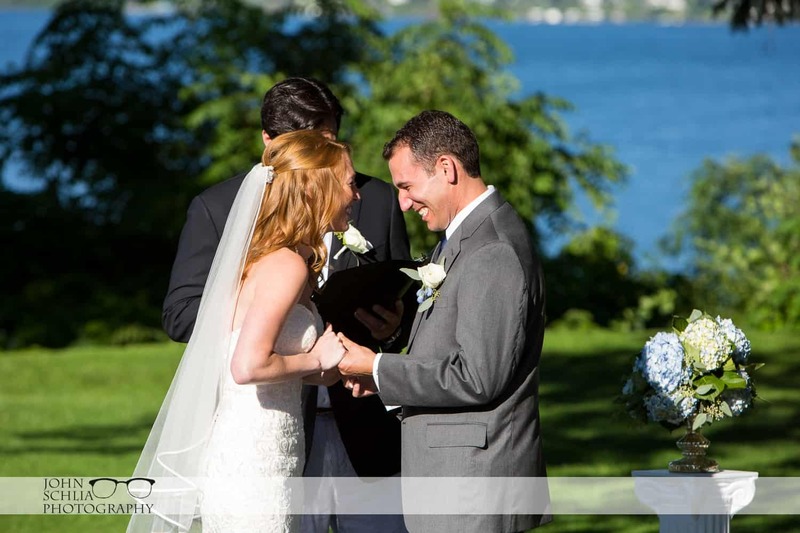 Their friends and family filled St. Mary’s church in Canandaigua and then helped the newlyweds celebrate at Ventosa Vineyards in Geneva. It was great to see so many people have such a great time. The day ran extra smoothly thanks to Angela and Aly from Out of the Ordinary Special Events. Congratulations Alex and Dan and thank you for everything !